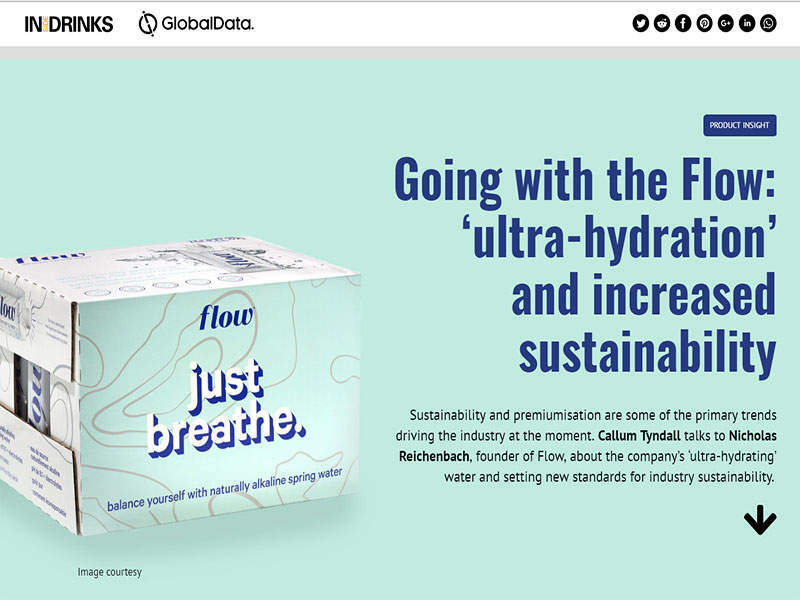 In this issue of Inside Drinks we look at how the craft movement is changing soft drinks, talk to Flow about their ‘ultra-hydrating’ water and examine how packaging producers are developing new, sustainable methods. 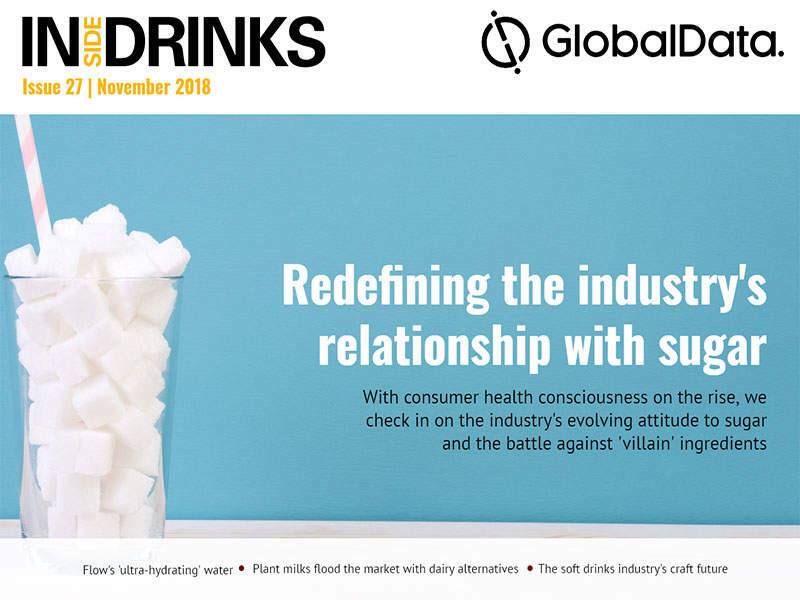 We also find out from Gusto Organic Drinks how the industry’s relationship with sugar is changing, discover what lies ahead for the plant milks market, investigate how intelligent pack solutions can encourage consumer engagement and explore how brands can cater to healthier lifestyles. 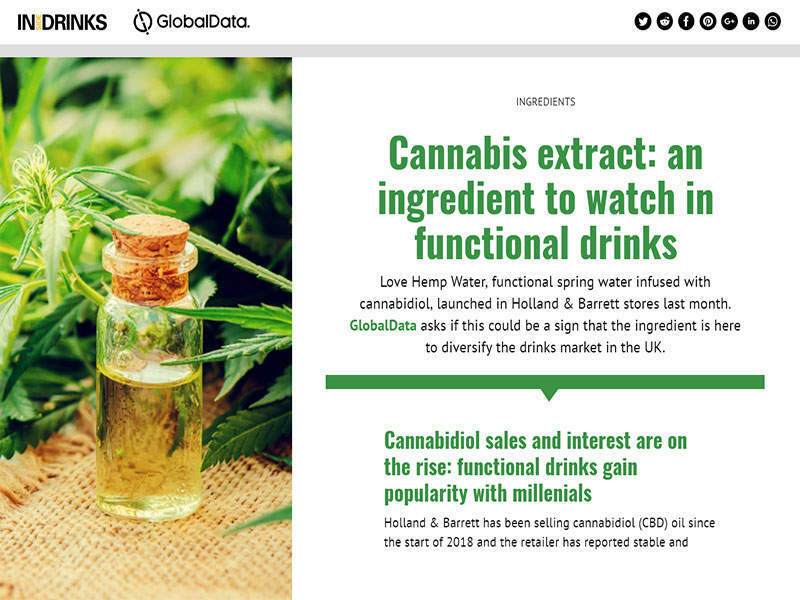 Finally, we look at whether cannabidiol is here to diversify the UK drinks market, examine what whiskey barrels can offer for aging chardonnay, and profile a coffee and olive oil combination. The craft movement has revolutionised the alcoholic drinks sector but soft drinks have been left largely the same. Now, that may be starting to change. Melvin Jay, founder and CEO of Gunna, tells us more. 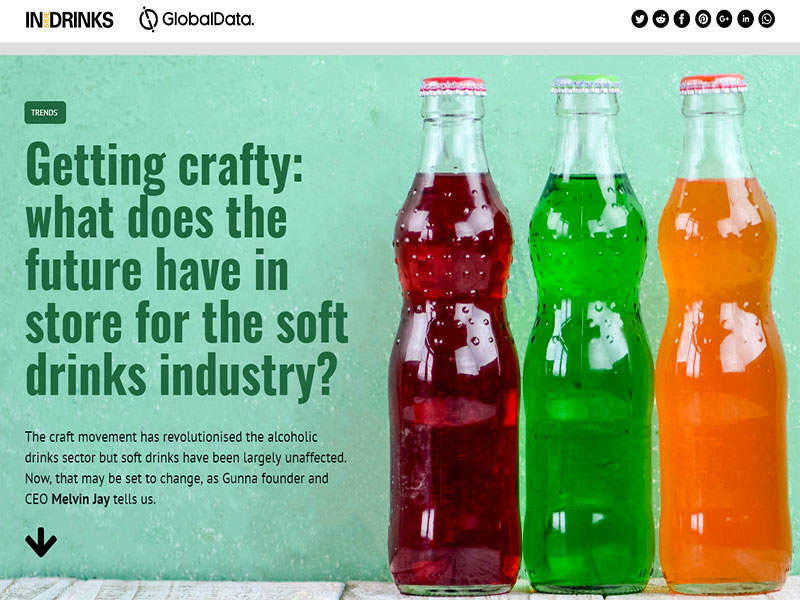 With the UK’s recent introduction of a sugar tax, and similar measures taken across the globe, the beverage industry is having to redefine its relationship with sugar. Several companies have reformulated their products and others are looking into sugar alternatives or raising prices to account for the tax. Callum Tyndall talks to Will Fugard, CEO of Gusto Organic Drinks about the beverage industry’s relationship with sugar, Gusto’s positioning as a healthy alternative, and drink trends. 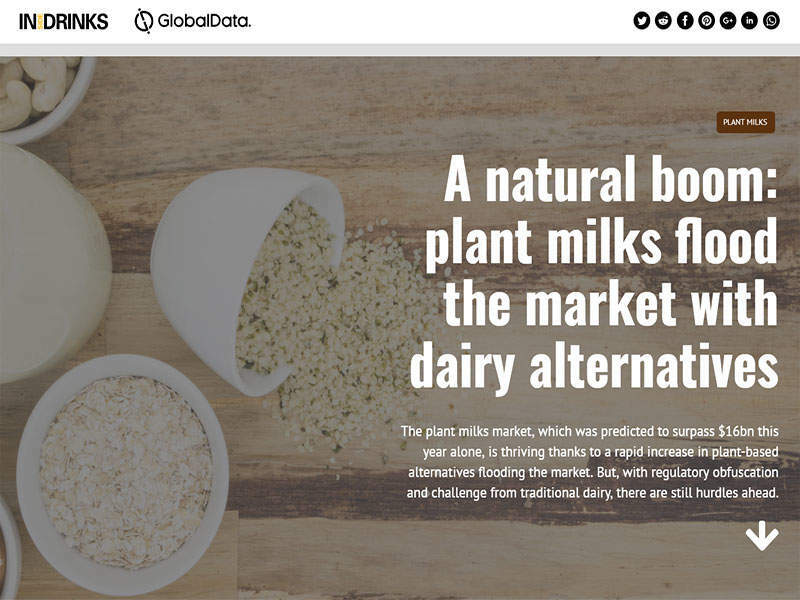 The plant milks market, which was predicted to surpass $16bn this year alone, is thriving thanks to a rapid increase in plant-based alternatives flooding the market. But, with regulatory obfuscation and challenge from traditional dairy, there are still hurdles ahead. We find out more. Today’s consumers are more aware of their personal health and wellbeing than ever as a result of greater access to information and health issues often being thrust into the media spotlight. 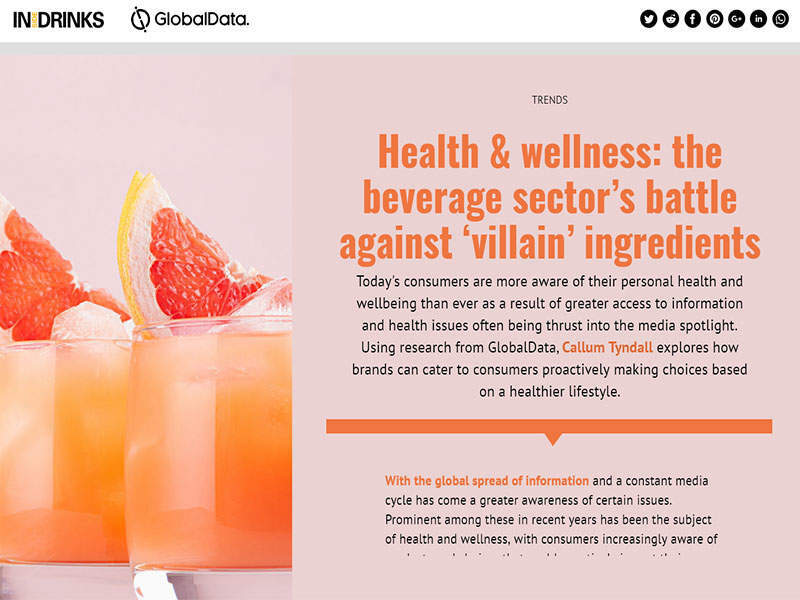 Using research from GlobalData, Callum Tyndall explores how brands can cater to consumers proactively making choices based on a healthier lifestyle. Love Hemp Water, functional spring water infused with cannabidiol, launched in Holland & Barrett stores last month. 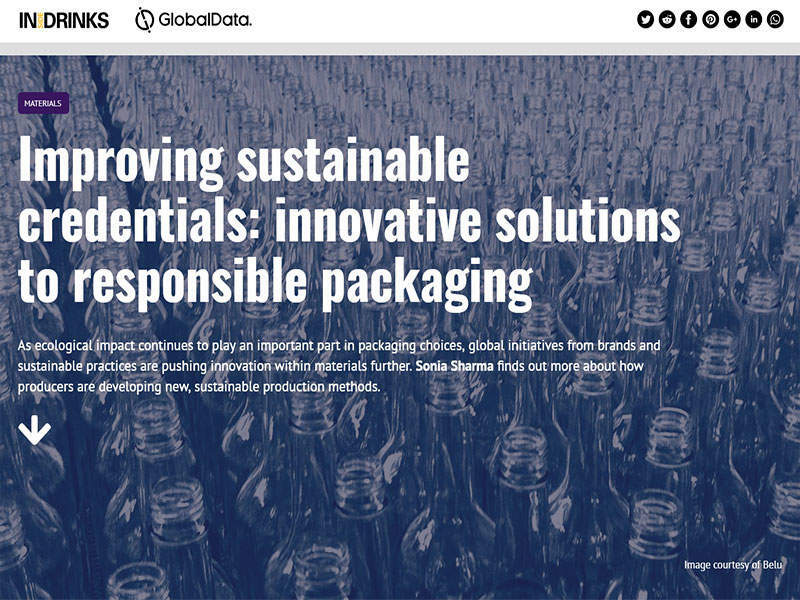 GlobalData asks if this could be a sign that the ingredient is here to diversify the drinks market in the UK. Chardonnay is often aged in oak barrels, so much so that “unoaked” chardonnay has been established as an alternative style. Jacob’s Creek Double Barrel doubles down on oak barrel aging by using former Scotch whiskey barrels as part of the aging process. 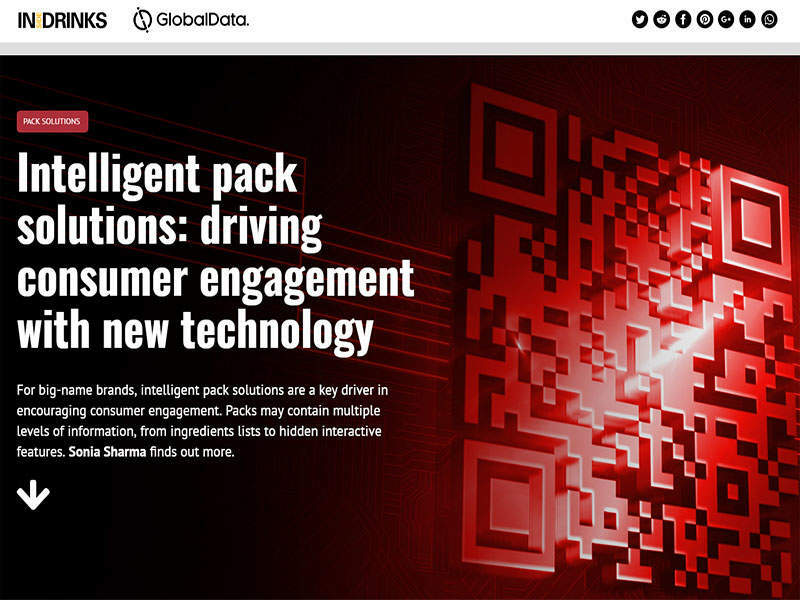 GlobalData explores what the method can offer. Coffee and olive oil have long been fixtures in specialty food and drink markets, but each tends to exist in its own separate universe. 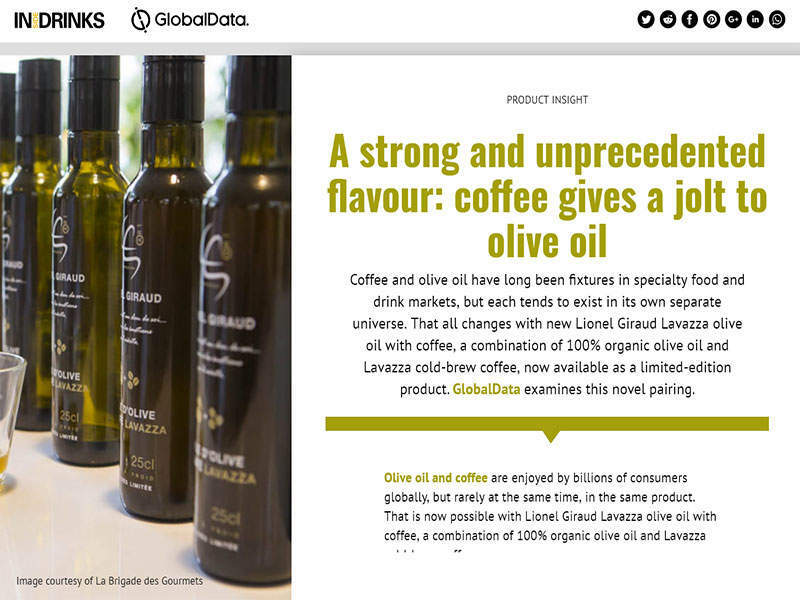 That all changes with new Lionel Giraud Lavazza olive oil with coffee, a combination of 100% organic olive oil and Lavazza cold-brew coffee, now available as a limited-edition product. 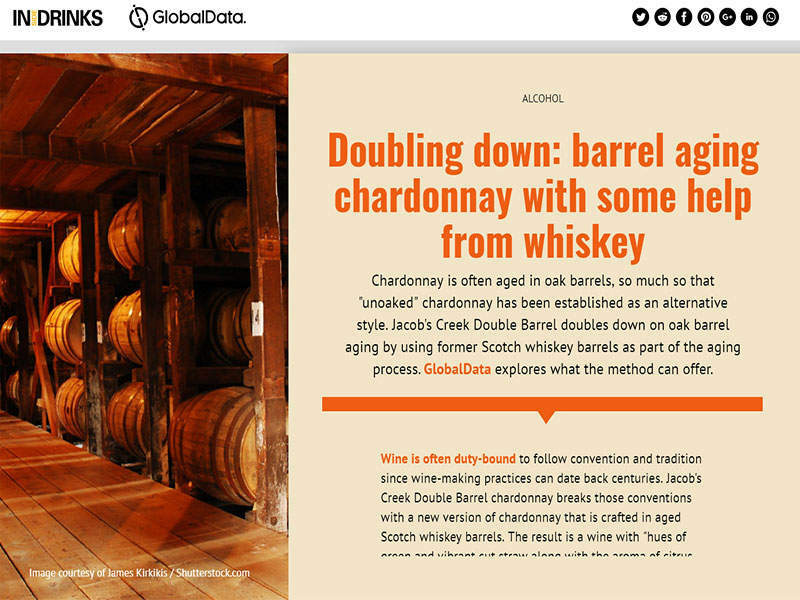 GlobalData examines this novel pairing. In the next issue of Inside Drinks we look at the trends for the year ahead, examine how bottle water is leading the non-alcoholic beverage market and profile the Russian beverage industry. We also look at how evolving consumer behaviours and attitudes are shaping the FMCG inudstry and examine what Coca-Cola’s move into energy drinks could mean.